ItemA-00801 - The Cornell Mine on Texada Island. ItemA-03628 - Bureau of Mines survey packtrain in front of stables at Fairview. ItemA-03650 - Stamp mill of the Cariboo Mine, Camp McKinney. ItemA-06408 - The Midway stage. ItemA-06409 - Hydraulic mining on Rock Creek. ItemA-06419 - Ore-house and bins, LeRoi Mine, Rossland. Item A-03628 - Bureau of Mines survey packtrain in front of stables at Fairview. 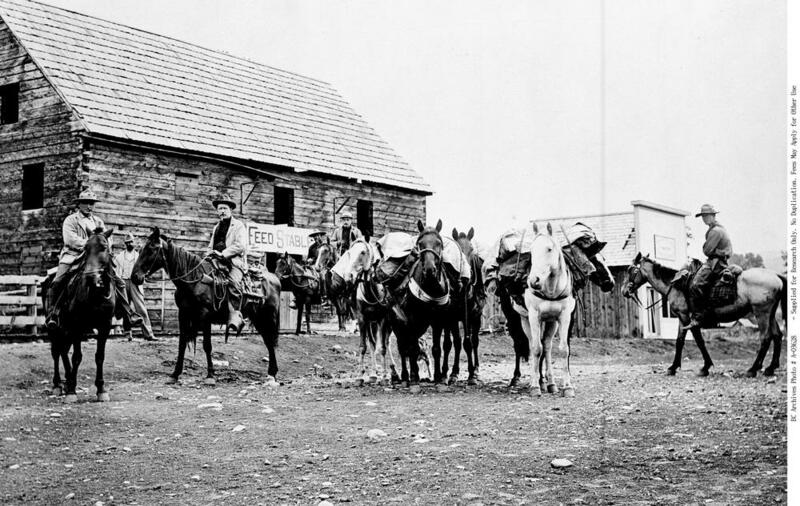 Bureau of Mines survey packtrain in front of stables at Fairview.